The Heirs of Ireland Series is an epic family saga written with a cinematographic eye and packed with gripping suspense, breathtaking settings and memorable characters. 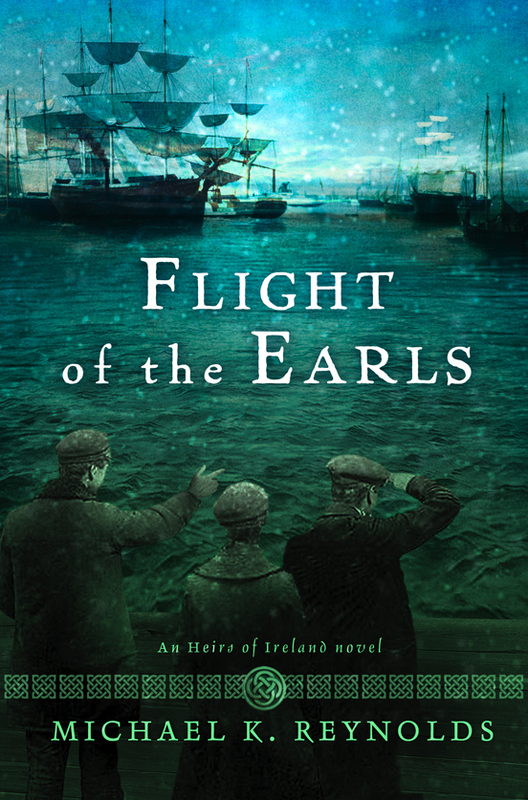 This critically heralded series launched with my debut novel about Irish immigration in the 1840’s, titled Flight of the Earls. 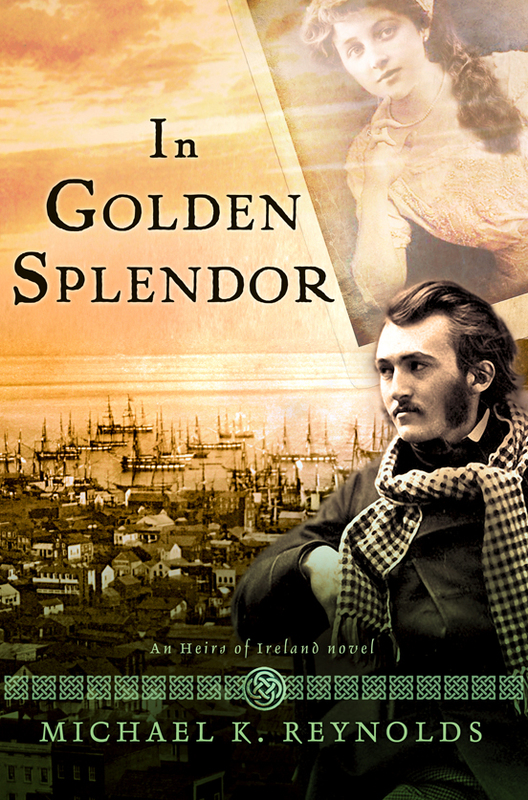 In Golden Splendor, which highlights the San Francisco Gold Rush is next in the series and the Civil War-themed Songs of the Shenandoah draws these stories about the Hanley family to conclusion. These novels were traditionally published by Broadman & Holman (B&H) but now all rights are managed by the publishing arm of my company, Global Studio. “The Hanley curse is your only dowry, I fear,” Liam announces to his second eldest daughter Clare as he sends her and her brother Seamus, accompanied by his friend Pierce, to America in desperate hope that they will find a better life for themselves than the famine ravaged farm where the remainder of the family toils. After the eldest, Maggie, left with their Uncle Tomas in hopes of finding riches in America, Clare was left to care for not only her remaining siblings Caitlin, Davin, and crippled Ronan, but also her mother Ida, who is so overcome the loss of her youngest son, that she can no longer feed or dress herself. With reluctance and guilty excitement, Clare follows her father’s instructions and is soon bound for New York. 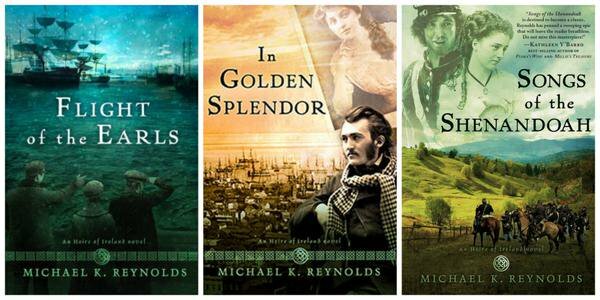 The first book in the Heirs of Ireland series by Michael K. Reynolds launches the reader into the heart-wrenching history of Irish immigration by opening up the fictional Hanley family’s struggles on a barren potato farm which is in stark contrast to the promised land of America – or is it? Flight of the Earls is also coming age of story about how God calls each to serve in his or her distinct way. A tumultuous voyage from Ireland to New York, fraught with food shortages, typhus and an un-seaworthy vessel mimics that of real life immigrants, as does the dire plight of many arriving in America, only to find shelter, jobs, and the trustworthy are few. Michael’s background as a writer and producer of an Emmy and Telly award-winning documentary series is evident in the imagery, plot and dialogue in Flight of the Earls, a novel that reads as an epic mini-series. 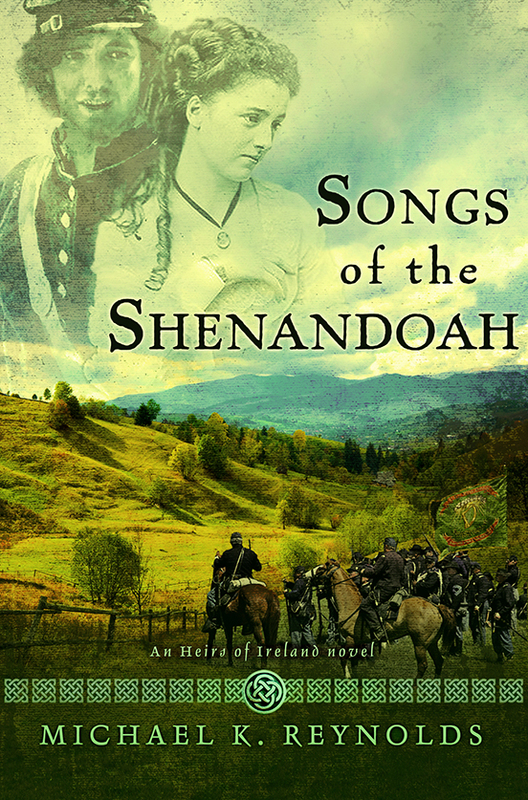 Irish immigrant Seamus Hanley is a lost soul, haunted by his past as a U.S. Army deserter and living alone in the wilderness of the Rocky Mountains in 1849. But after witnessing a deadly stage coach crash, he finds purpose in the scattered wreckage – a letter with a picture of a beautiful and captivating woman named Charlotte living in San Francisco at the height of the Gold Rush. Moved by her written plea for help, he abandons all and sets out on an epic journey across the wild and picturesque American frontier. While being pursued by those who want to hang him, Seamus encounters fascinating characters including a young Pauite Indian who makes the ultimate sacrifice in helping Seamus to cross the snowy Yosemite Valley. Battered but changed for the better, Seamus reaches San Francisco on Christmas Eve as the city burns in the tragic fire of 1849. But there is little time for rest, as an even greater, more harrowing adventure involving Charlotte is about to begin. At the onset of the Civil War, Seamus heeds his wife’s wishes to return to her beloved family farm in the South, where he takes a post as chaplain for General Stonewall Jackson’s brigade. As Seamus ministers to the troops, his sister Clare ministers in a different way—by being a powerful voice in the Northern cause toward freeing the slaves. All this while their youngest brother Davin, who became wealthy during the Gold Rush, struggles to find love and identity in a fallen world. It’s a clash of loyalties and beliefs that threaten the entire family, each of them trying to hear God’s encouragement in the midst of the tragedy of war. It’s the dramatic conclusion to the acclaimed Heirs of Ireland series.